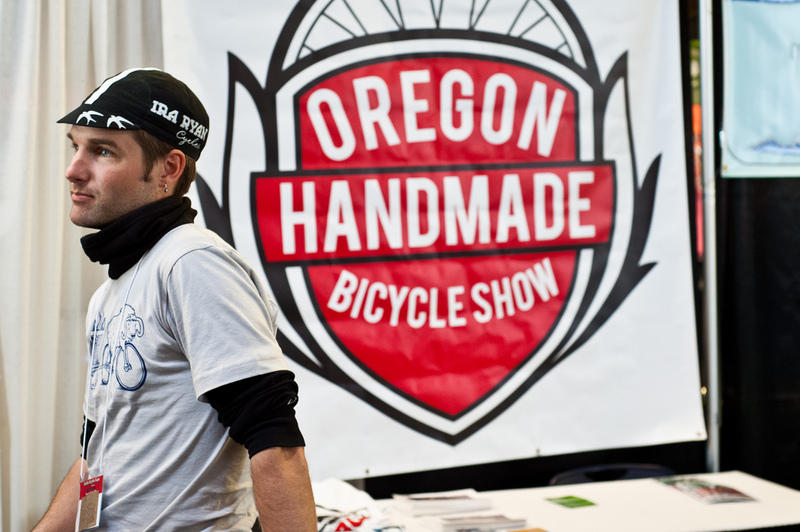 I first met Ira Ryan while reporting on the Seattle Bike Expo for a Seattle news website. Appropriately enough given that Ira is a high-end custom frame builder, we were both listening to a panel at the time on frame building featuring legendary builders Ken Taylor, Bill Davidson, and Glenn Erikson. I noticed Ira standing nearby and stuck up a conversation. Rather than bolting for the door to escape my barrage of questions, Ira happily engaged me in conversation about the frame building industry, randonneuring and racing, and the Portland bike scene. That conversation continues today with Ira discussing his foray into frame building, his love of adventure racing, and his participation in Rapha’s admittedly-impressive, but purple-prosed marketing scheme, the Continental Project.